The Sunshine Coast is full of great places to shop, so much so that it can be hard to know where to start! From boutique hand-crafted goods to huge retail chains, there is something for every shopper and every taste. Here is a quick-start guide to the best places to shop on the Sunshine Coast. Sunshine Plaza is the largest shopping centre on the Sunshine Coast, and is located in the heart of Maroochydore. It has been open since 1994, and offers over 220 specialty stores. In addition, Sunshine Plaza also has Myer, Target, Coles, Best & Less and Kmart for all your larger shopping needs. There’s plenty for everyone to enjoy when you need to take a break, with a range of dining and entertainment options for the whole family. 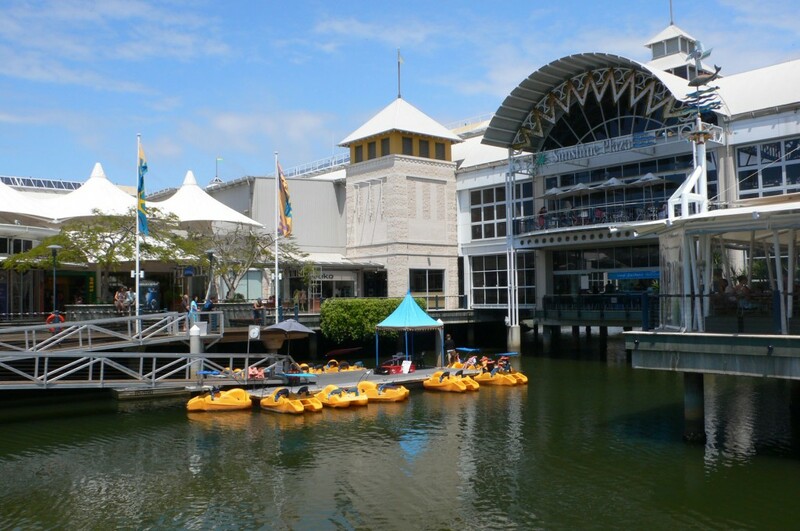 Modern 12 screen cinemas and paddle boat hire will keep the kids happy, and there’s an array of fun cafes and stylish restaurants for when you need a bite to eat. The unique waterfront access makes Sunshine Plaza a beautiful place to shop. If you’re looking for something hand-crafted and unique, you can’t go past the markets. Visitors to Peregian Beach on the 1st and 3rd Sunday of every month will find a small yet quality selection of arts and crafts for every occasion. There are many small markets such as these along the Sunshine Coast, most of which have their details online. 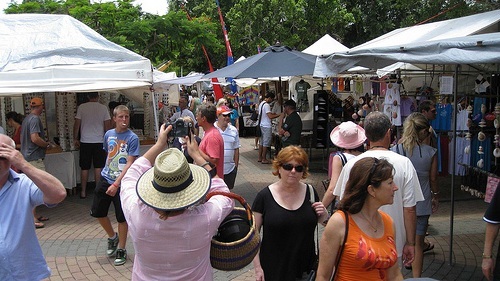 There is also the popular farmers markets at Tewantin, Eumundi, Cotton Tree, Kawana and at the Big Pineapple all selling a fabulous range of fresh produce, home-made treats and unique gift ware. Fruit and vegies are available in abundance, with gourmet meat and cheeses also on offer. There are a number of food stalls selling everything from boutique French bread and patisserie sweets to fresh Asian-inspired street cuisine. The locals have been known to stop at these markets just to have lunch while picking up the essentials, like fresh free range eggs. 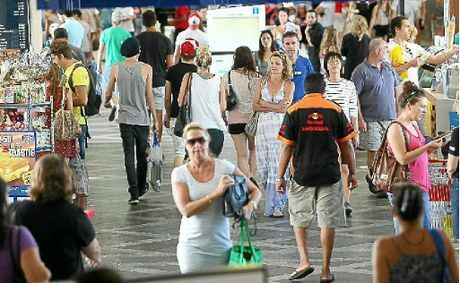 Most markets are open over the weekend with the exception of Eumundi which is also open on Wednesdays. But be prepared for a lovely morning or afternoon meandering through stores and stores of produce. This is one of the most iconic locations to shop on the Sunshine Coast. A range of specialist designers, quality resort-wear and souvenir shops line Hastings Street. While you’re strolling through, why not check out the art gallery, or take a break in one of the many cosy coffee shops or fine dining restaurant along the way. From big brands to boutique, or maybe just a sweet treat, there’s something for everyone on the Sunshine Coast. With a great range of unique and varied shopping locations, you’re guaranteed to find just what you’re looking for.